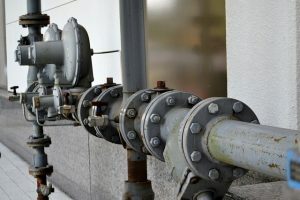 Can Mold Grow inside Water Pipes? Find Answers Here. Have you ever thought that mold can indeed grow inside your water pipe at home? You may not be informed about this for the longest time but mold can precisely find a spot in the pipes. In some other cases, it was proven to be living inside a pipeline when it happened to be obviously detected in a glass of drinking water. Although this might be an unusual phenomenon, it still must not be overlooked considering that it can possibly occur right in your home. Water lines have the slightest oxygen, no organic food source, and have a continuous water movement inside, it may get harder for the mold to flourish and survive. However, it is an airborne contaminant that can live everywhere, waiting for something to infect or contaminate with. If it happens that your well cap gets broken or improperly sealed, the frightening water pollution caused by mold may happen in a glance. Immediately attending to broken pipes can help in many ways as it would lessen the spread of the contaminating mold around your place. Nobody would ever want a specific area at home to gradually get weakened by a multiplying mold. Over time, it can surely damage the condition of certain structures at home or in a building. After having identified the development of molds inside your water pipe, it’s a best option to call an immediate expert in the field of mold inspection and mold remediation. This type of infestation inside the home would create an unsecured feeling, taking in mind that it could affect everyone’s health. As a matter of fact, mold can effortlessly attach itself to things such as bags, clothes, shoes, and pets. When it comes to finding the authority in the field, opt for an experienced company. The Service Master by Wright puts forward excellence and quality service to combat mold infestation in a very systematic way. On top of that, we have all the equipment to free your home from the spread of the dangerous mold. We are servicing the areas Bonita Springs, Brandenton, Cape Coral, Englewood, Fort Myers, Longboat Key, Naples, Marco Island, Sarasota, Siesta Key, and Venice. You may call us at 866-676-7761 for faster response or visit https://www.servicemasterrestorations.com/for more details. Serving businesses and homeowners located in Southwest Florida and nearby countries.